Rabbi Judith Hauptman grew up in Brooklyn, NY, attended a Conservative synagogue, became Orthodox in her teen years at the Yeshivah of Flatbush, but returned to Conservative Judaism in college. She is the first woman ever to receive a PhD in Talmud. Since 1974, she has been teaching Talmud at the Jewish Theological Seminary and training future rabbis. Today she serves as the E. Billi Ivry Professor of Talmud and Rabbinic Culture. In 2003, she followed in her students’ footsteps and was herself ordained as a rabbi at the Academy for Jewish Religion. She currently serves as volunteer rabbi for the Jewish residents of a Catholic nursing home in Lower Manhattan. She lived in Israel for four years. Rabbi Hauptman visited the FSU in 1970 for a week and returned to the FSU in 2010, spending the month of May in Moscow while teaching Talmud at the Russian State University for the Humanities. Rabbi Judith Hauptman has also been a pioneer in the area of equality of opportunity for women in Jewish life. She was a member of Ezrat Nashim, the group of women that issued in 1972 the first feminist critique of Judaism. Since then she has lectured widely on the subject and written many articles. Her most influential one is entitled, “Women and Prayer: An Attempt to Dispel Some Fallacies,” (JUDAISM, Winter 1993). In it she argues that women have always had an obligation to pray and for that reason can count in the quorum (the minyan) and even lead it in prayer. Her book, Rereading the Rabbis, A Woman’s Voice, has been called one of the founding works of the new Jewish feminism. In this volume she shows that the rabbis of the Talmud, some 1500 years ago, modified many legal institutions, such as marriage, to improve women’s legal and social status. As a result, by the end of the Talmudic period, women were no longer viewed as chattel but as second class citizens(! ), a considerable accomplishment. Her other two books trace the evolution of the text of the Mishnah, the Tosefta, and the Gemara. Rabbi Hauptman has also written for The Jewish Week and other publications. A recent article talks about the challenges facing the Conservative movement. To read Rabbi Hauptman’s article on her experiences teaching Talmud in Moscow in 2010 click here. You can also read her comments on the Bible portion Va’ethanan at http://jewess.canonist.com/?p=503. "I just wanted to thank you for providing such informative, accessible, and inclusive services each year. 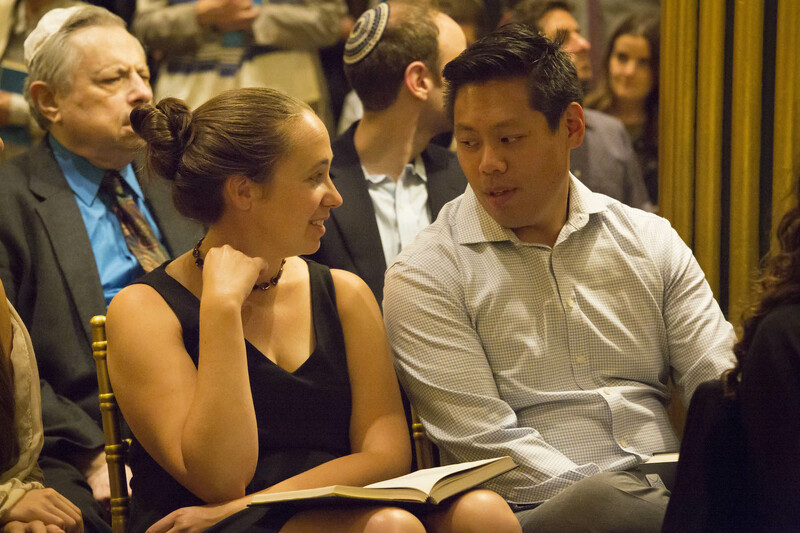 My fiance and I are an interfaith couple (Jewish & Hindu) and Ohel Ayalah has helped make the Jewish traditions and holidays that I hold so dear more accessible to my fiance by providing clear explanations in a captivating and inclusive way. He never feels left out or not welcome, and it has helped make these holidays a part of our life together (and not just mine alone). Thank you!!"